In this man's opinion - one of the best thing's Nike has done creatively over the years is bring NIKEid to the masses. Providing Sneakerheads worldwide with an opportunity to design their own 1-of-1 custom kicks with limitless options (the Air Max 180, pictured above - features 11 customizable sections, more than 13 color choices, and 5 materials), how can you go wrong. 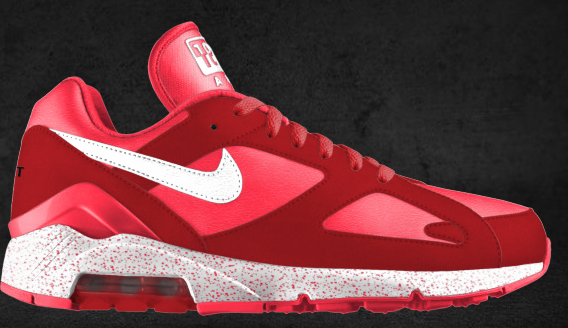 Design your own here - I did, my pair is pictured above.